Kansas guard Devon Dotson (11) fouls New Mexico State guard AJ Harris (12) on the shot late in the second half on Saturday, Dec. 8, 2018 at Sprint Center. Defensively, the second-ranked Kansas men’s basketball team was far from perfect. 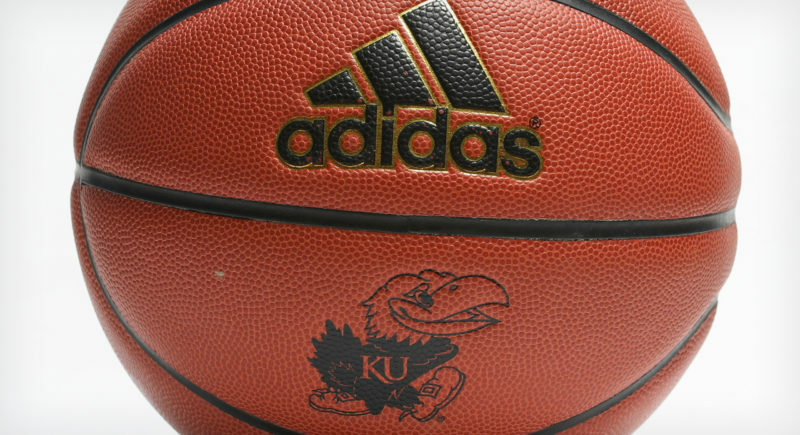 But the Jayhawks did hold New Mexico State to 60 in a three-point win on Saturday night at Sprint Center. Yes, the Jayhawks are unbeaten in eight games so far this season. Yes, they’re still ranked second in the country and could very well move into the No. 1 spot on Monday thanks to Gonzaga’s loss to Tennessee on Sunday. And, yeah, winning is still better than losing every time out. But for a Hall of Fame coach like Self, it’s not always the end result that matters most. Sometimes, it’s the way the outcome is obtained that is most crucial. 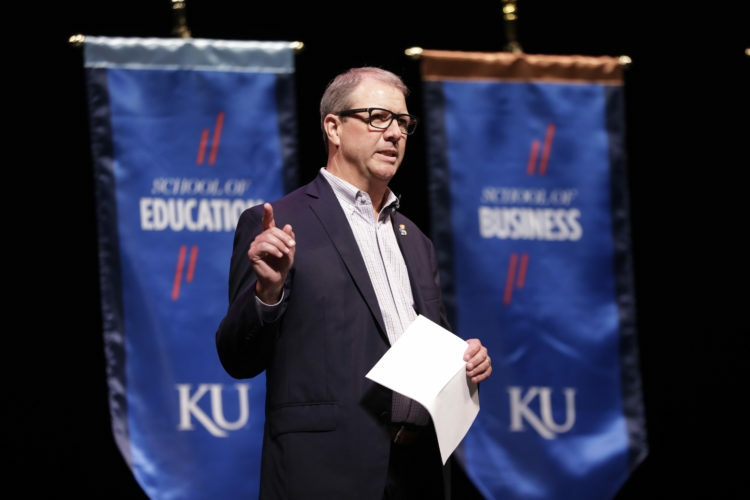 And right now, Self’s Jayhawks are not playing at a level that is consistent with what he expects, demands and, frankly, has become accustomed to during his 16 seasons in Lawrence. When asked about the big-picture improvements he would like to see from his team before its next game — which just happens to be defending national champion Villanova at 11 a.m. Saturday at Allen Fieldhouse — Self launched into a three-plus minute soliloquy that covered just about every aspect of the game and focused mostly on the mental side of things. “Basketball is a strange game,” Self began. “In order to play it really well, you need to play with a purpose, you need to play with freedom, you need to play with confidence. Missing an assignment here. Lining up in the wrong spot there. Going off script and doubling the post with two seconds on the shot clock even though KU’s cardinal rule in such situations is never to double under 10 seconds. 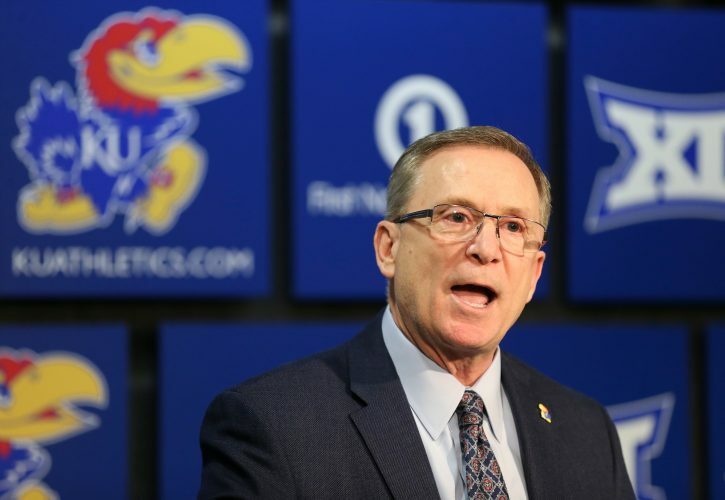 All of those issues, and more, have kept unbeaten Kansas from playing at a level that Self — and others — expect to see from a team that realistically belongs in the national-title contender conversation. Self said the issue is not with effort or even always execution, but with a general feel for the game. That’s to be expected to some degree, given the fact that five of the nine players in KU’s regular rotation are playing for the Jayhawks for the first time. 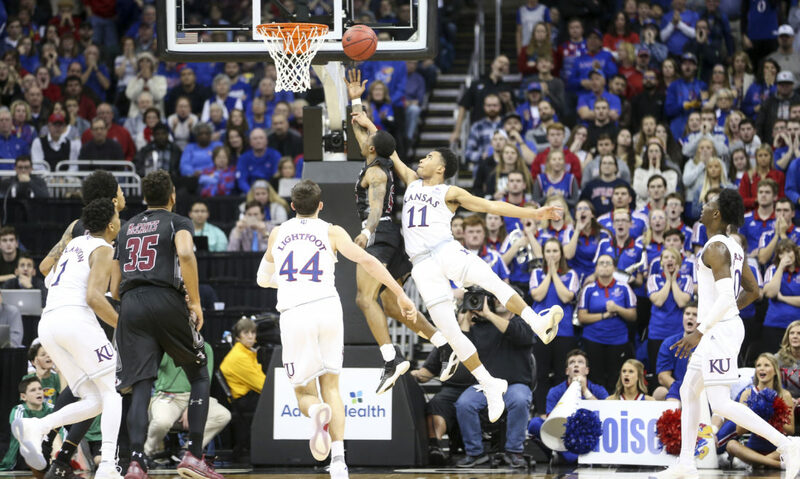 What’s more, Self is coming off of a three-year run that featured some of the most effective and productive players, leaders and competitors in recent KU history. Despite this group lagging behind in those areas of understanding and feel and mental toughness, Self is not putting it all on the players. He believes he and his coaching staff need to do a better job of emphasizing certain things and also thinks that increased effort in those areas will quickly lead to overall improvement. At 8-0 against one of the nation’s toughest schedules, clearly there is enough to like about this new-look KU squad that still has Self and company excited about its potential. And, ultimately, Self’s frustration with the current state of his team comes down to how his players are competing between the ears. Before KU’s latest victory, Self was asked if seven games was enough time to get a better feel for the identity of his team. 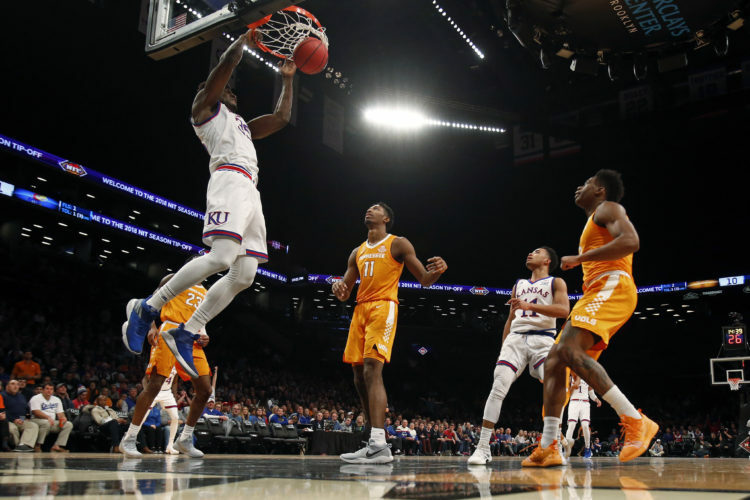 That answer, and the Kansas coach’s three-minute deep dive at Sprint Center on Saturday night, aligned perfectly and made it crystal clear what KU’s biggest challenge will be during the week leading up to Saturday’s home showdown with Villanova.